Hello, my name is Caz Binstead. I am a fully qualified, registered integrative counsellor offering counselling and therapy in the Clapham area, London. 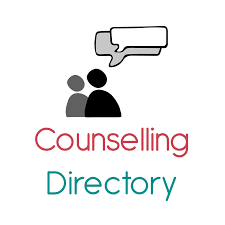 If you’re looking to find out more about counselling, or are interested in coming along for sessions, please click here now. To find out more about me, my experience, and how I work, do see my about me page. My consulting room is in a central location; directly opposite Clapham Common. I value my client’s experience and am pleased to offer a spacious, comfortable and convenient space. 5 minute walk from both Clapham Common and Clapham South Tubes, 2 minutes from bus stop (155, 50, 249 buses), within easy reach of Clapham Junction, Stockwell, Wandsworth and Balham. COUPLES COUNSELLING: Lots of people have an idea of what couples counselling is and maybe think that couples only need counselling when things get really bad. But no matter what situation you face in your relationship – even seemingly trivial ones, couples counselling may help. It’s a fact that couples face many challenges; for example, going through changes, such as having a baby or experiencing money worries can put pressure on a relationship. Or, it may be that one of you is having problems outside the relationship (such as losing a job) which is directly impacting both of you and your partnership. Maybe, you simply don’t feel like you are being understood, heard or seen anymore, or something has happened where trust has been broken. Relationship therapy gives partners the opportunity to talk and listen to one another openly and effectively. If you wish to explore the dynamics of your relationship in a safe and non-judgemental space, please do call me on 07837 478752. MINDFULNESS GROUPS, MBSR & MBCT: Mindfulness courses teach participants how to stay in touch with the present moment and be less caught up in negative thought patterns, to develop more helpful responses to stress, to learn to manage the constant demands of the modern world, to learn and recognise what can causes recurrent depression, and to use simple meditation techniques which can transform daily life. MBCT (Mindfulness Based Cognitive Therapy) is borne out of a blend of CBT and Mindfulness. It can be helpful for anyone who wants to learn more about the workings of the mind, and learn simple techniques to help move beyond depression, anxiety, and other overwhelming feelings. The UK’s National Institute for Health and Clinical Excellence (NICE) has recommended MBCT as an effective treatment for preventing relapse in depressive/anxious episodes. MBSR (mindfulness based stress reduction), has been a huge success as a programme. It was developed by Jon Kabat-Zinn and since its inception in 1979, has grown and is used worldwide. Its aim is to help manage and reduce stress and anxiety, and to assist with pain management, and it is widely recognised throughout the medical community. Both these programmes can over time increase self esteem and trust within oneself. In addition to previous training and 19 years of personal practice, I am doing further study in Mindfulness therapy at the world renowned OMC, Oxford. BEREAVEMENT COUNSELLING is a specialised service to help support those who have lost loved ones. To experience a loss of someone significant through bereavement, is a life changing experience. I worked for a Bereavement counselling service for some time; counselling friends and families of people that are struggling to cope after the death (or illness) of a loved one. I also currently work as a clinical supervisor at a Dementia service. Death and loss can be extremely hard to cope with, and being able to express your feelings and thoughts after a bereavement is extremely important. Whether it is a past or recent loss, we can work through how this has affected you and the wide range of feelings that can surface. You will feel held and supported as we respect and remember the person in the sessions. I find this work to be incredibly humbling, and embrace all that clients want to bring to sessions to help with the grieving process. ANXIETY, STRESS & SOCIAL ANXIETY CLINIC: I also specialise in working with clients who are concerned with managing anxiety (and related disorders, such as panic attacks, social anxiety, perfection anxiety, OCD…). Anxiety is a natural part of life, but for some people, it feels like it takes over their lives. It can often lead to ensuing questions around self-identity and self-esteem, and I am keen to work with clients on these issues. Nb you might also be interested in my Mindfulness based stress reduction course (please see above) – do contact me to enquire. SUPERVISION: I am a qualified supervisor (of individuals and groups), and am currently taking on new supervisees. I run a very busy private practice as a therapist, and am keen to work with counsellors and psychotherapists looking for a private supervisor. I work with the following: Trainees - from 2016, I have been employed as a clinical supervisor of trainee counsellors on CPPD’s Bacp accredited training course, and have specific experience of supervising at this unique time – supporting learning and enhancing practice. I am also used to the learning environment, and teach and facilitate workshops. Finally, in a line manager capacity ( non supervisory role), I have previous experience supporting placement therapists who were carrying out both generic and NHS counselling; inducting into roles, guiding through and assisting with paperwork, Iaptus and day to day issues. Organisations: I am currently employed as a supervisor by The Healthy Living Centre (in conjunction with St, Thomas’ and Guys hospital). This is a fantastic service for people with dementia, and I work with counsellors and therapists (including an art therapist), based at the project. I am currently interested in similar supervision roles at either bereavement projects, hospices or with therapists who work with illnes. In addition to working with trainees, I welcome supervisees from any stage in their career. I am happy to support new-mid practitioners including those working towards BACP reg/accred. and/or UKCP reg; which I can provide support for. Finally, I welcome experienced supervisees, and offer both a supportive but also intellectually challenging space. I value the freshness and uniqueness of each and every supervisee, and look forward to meeting anyone who is interested in setting up an initial meeting with me. TRAINING COURSES & CONSULTANCY: I run training courses and groups. The next training course due to run is ‘New to Private Practice?’ (co-run with Mehmet Altan), a BACP endorsed course. The workshop is aimed at trainees, newly qualified therapists, those considering moving into private practice, or those wishing to develop their practices. I also work as a consultant in this area too, helping people with marketing, developing their business plan and practice. As a trained writer, I also run a specialist customised writing service, where I work with people to develop and write the content for their websites. MINDFULNESS BASED CONSULTANCY: This programme is designed and offered to companies, organisation, charities etc, to help staff cope better with stress and improve wellbeing. It’s about helping people manage the frantic pace of working life, and helping companies re-think how they operate in the bid to ‘save hours’. People who are stressed often will lose their passion for work, which can result in unhappy staff and inefficient work. This programme aims to increase productivity and for organisations, and help reduce stress and anxiety for workers. A happy person leads to a happy and more efficient team! Please contact me for further details. CREATIVE THERAPEUTIC CONSULTANCY: As a writer, therapist, and mindfulness based practitioner, I offer therapeutic consultancy to help companies develop both creatively, and productively. Please contact me for further details. This entry was posted in Balham counselling, counselling clapham, Counselling Clapham common, Counselling Clapham Junction, couples counselling clapham, London counselling and tagged Clapham Counselling, clinical supervision clapham, counsellors clapham, mindfulness courses clapham, psychotherapy clapham, supervision counselling clapham. Bookmark the permalink.